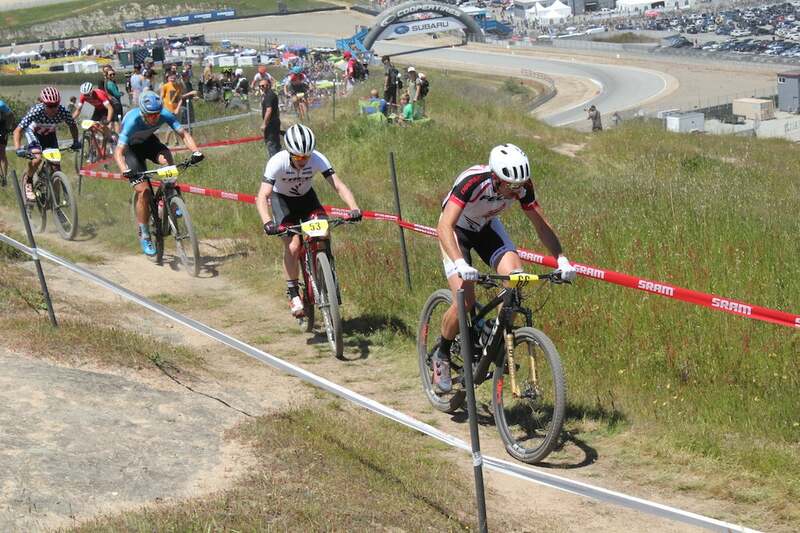 New Zealand champ Anton Cooper wins Sea Otter Classic men’s cross-country race. U.S. champ Howard Grotts was second. 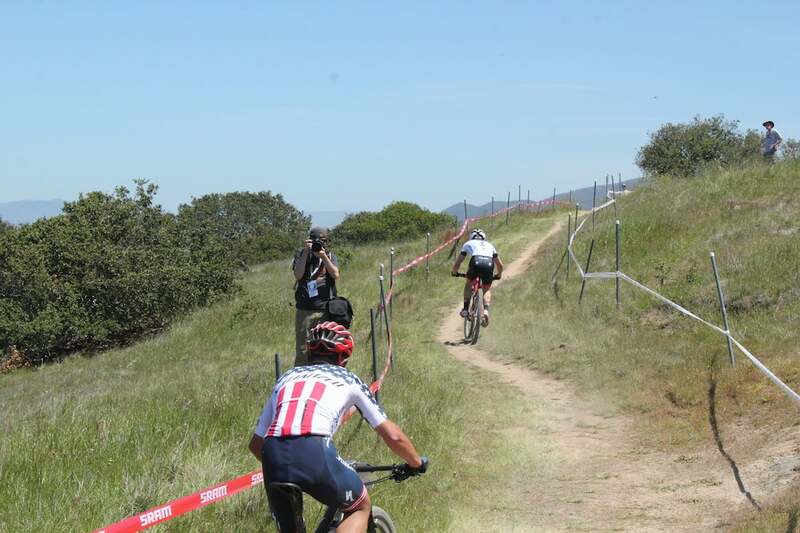 With a blistering attack on one of the course’s steepest climb, New Zealand champion Anton Cooper (Trek) won the Sea Otter Classic men’s cross-country race. 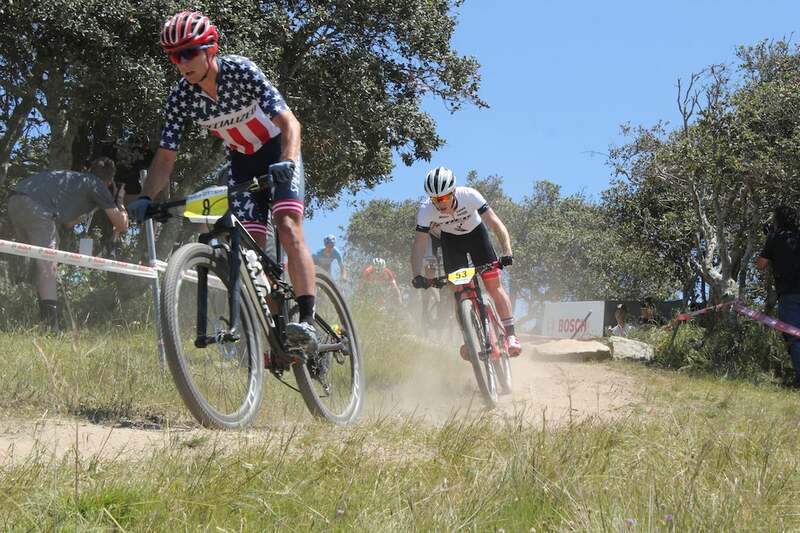 U.S. champ Howard Grotts (Specialized) was second ahead of Switzerland’s Nicola Rohrbach (Goldwurst-Power-Felt). 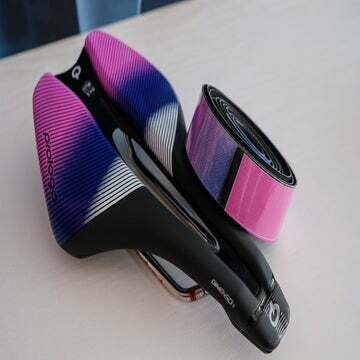 As the wind picked up on a sunny afternoon, 15 riders went off the front of the UCI pro men’s race on the first of eight laps. Rohrbach pushed the pace on the early climbs of lap two, and soon the front group was down to six riders. Geoff Kabush (Yeti) led a chase of three men, but the gap was growing quickly. “Anton and Nicola both put in a few digs each, and then I was just trying to follow moves as best as I could,” Grotts said. Two laps later, the lead group was torn asunder on the paved climb up to the high point of the Laguna Seca track. Rohrbach again instigated the pace at the front of the leaders, as four riders chased about 25 seconds behind. However, he soon started to fade from the effort, forced to chase back to Grotts and Cooper at the end of lap five. With two laps remaining, the Kiwi made his winning move. Rohrbach was immediately out of the picture. Grotts kept Cooper in sight over the top of the steep, grassy climb that was speckled by rocks. The American couldn’t bring back the gap on the final half-lap of racing.